Low-carb diets are very popular today because foods such as white breads, pasta, sugary treats, potatoes and alcohol have all been linked to increased fat absorption by the body and weight gain. As a result, the use of carb blockers has also soared in popularity. 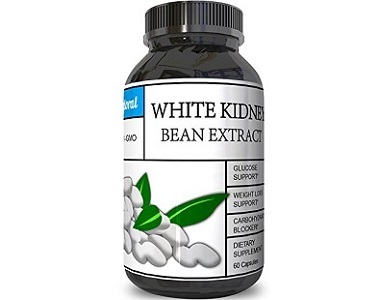 Today we review White Kidney Bean Extract as manufactured by Phytoral. White Kidney beans have been scientifically linked to suppressing the production of amylase. Why is this important? Amylase is what the body requires to break down carbohydrates. If it can’t be broken down, it cannot be digested. As a result, a lack of amylase causes starches and carbohydrates to enter and exit the digestive tract without any calories having been absorbed. 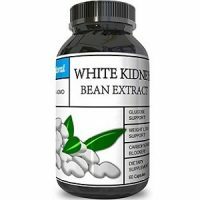 White kidney beans in all forms have also enjoyed popularity thanks to mainstream medical celeb recommendations. There is another reason you may not want excess carbs though. Carbohydrates are broken down into sugars, prompting blood-sugar levels to rise. Consequently, you may experience and insulin rise, followed by a sugar low – prompting you to consume more food, particularly sugars and carbs. The result is a cycle of calorie consumption. Not all carb blockers work the same or are equally effective. This is why we have included this dietary supplement in our review choices. What’s in Phytoral White Kidney Beans Carb Blocker? We will only concern ourselves with the first ingredient, as the last three comprise the fillers and binders for the vegetable capsule. White kidney beans have been linked to reduced fat intake and weight loss. It works to stop the body from digesting carbohydrates, thanks to phaseolamin, its bio-active ingredient. It also keeps you sated for longer as it has a high fiber content. Additionally, the product will work to suppress cravings as sugar spikes will be eliminated. Even blood-sugar levels and a slightly suppressed appetite are therefore two wonderful side effects. No number of carb-blockers can be effective long term if you don’t exercise and gradually replace fried foods, fatty foods, sugars and white starches with whole grains, leafy greens and healthy fats. Instead of a plate that is mostly made up of carbs, try to increase your protein intake instead. No food group when completely eliminated is safe, so it is great that the kidney beans are also high in vitamins and nutrients. Long term, the safety of kidney beans has not been proven. Our main concern with this supplement is that it by far exceeds the maximum daily recommended dosage of between 500mg and 1500mg per day. A single capsule contains 1200mg – but the recommended dosage is not confined to 1 capsule. 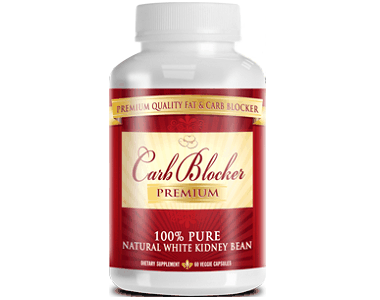 How Do You Use Phytoral White Kidney Beans Carb Blocker? This supplement must only be used by adults and expecting mothers should avoid it. Those with any chronic conditions or on blood thinners should also avoid the product. Take 2 capsules daily before each of the largest 2 meals of the day. Do not ingest more than 4 capsules a day. This is a very high dosage as 4 capsules a day amount to 6000mg per day. By contrast, the maximum medically endorsed daily allowance is almost overwhelmingly regarded to be 1500mg. On Amazon, a bottle of 60 capsules retails for $10.44. This is a 15-day supply. A ‘100% satisfaction or your money back’ guarantee is in place but no other details are provided. The product is likely to work to suppress the appetite and inhibit cravings. It is fairly cost effective but by no means the cheapest products. We like that the product is all natural and will likely help you lose actual fat, not merely water weight. The product gets good reviews. However, we caution about using the product long term as it by far exceeds the maximum daily allowance. Alternatively, cut your intake in half. Also be aware that it you stop using this product, you will almost definitely gain the weight immediately unless you make a self-contained effort to stay in calorie deficit. We recommend using a safer product – one that is within daily usage limits.